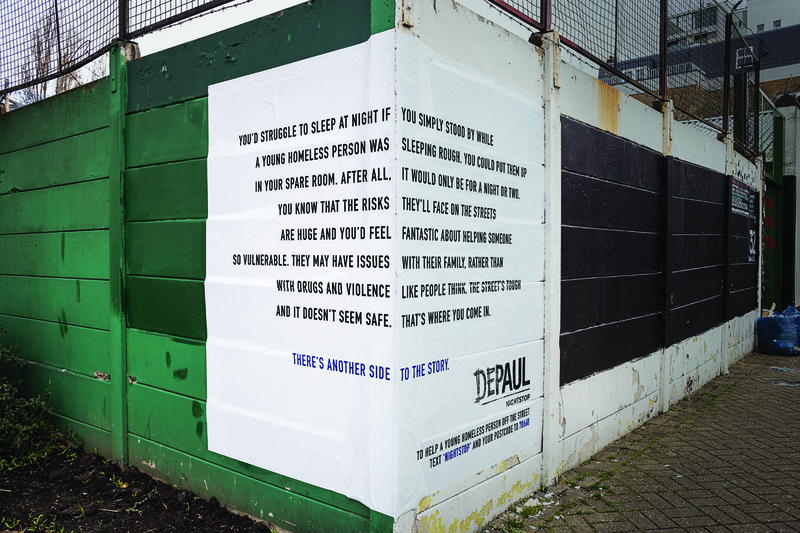 The Depaul Nightstop project helps young, homeless people get off the streets and into the spare rooms of volunteers. But fears about personal safety prevent many people from getting involved. 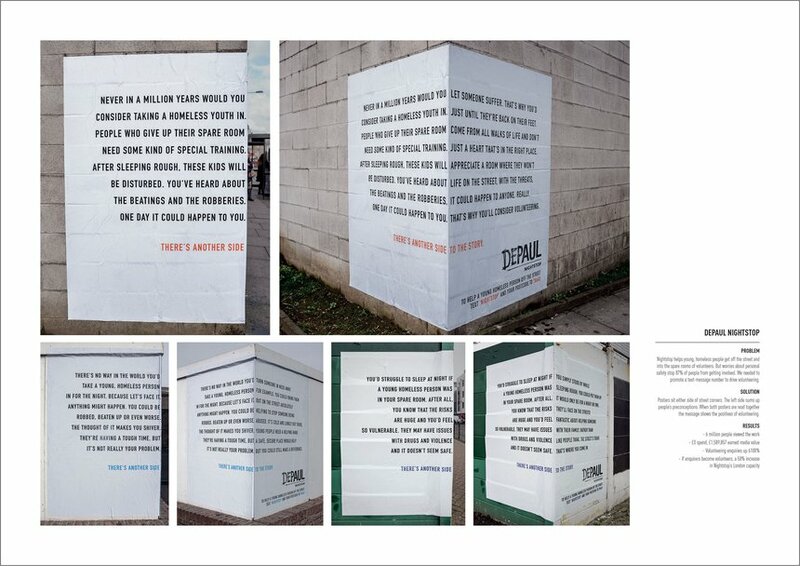 To change opinions, Publicis London created posters that sit either side of a street corner. The left side sums up people’s preconceptions about taking in a homeless youth. When both sides are read together the perspective changes to show the positive side of volunteering. The work made national news and was viewed and shared millions of times around the world – helping many young people turn a corner for real. This entry was posted in Uncategorised on 9th June 2016 by Gyles Lingwood.